Giving the twisted sheet metal a second life. Texting while driving is dumb, dangerous, and, often, deadly. Taking your eyes off the road even for a second to read or send a text message is enough time for the car in front of you to come to a complete stop. Or for a pedestrian step out in front of your vehicle. Or for the signal turn red, and you blow through the intersection. In Sweden, the government passed a law making it illegal to drive with a phone in your hand starting in February. However, the number of accidents in Sweden aren’t changing. 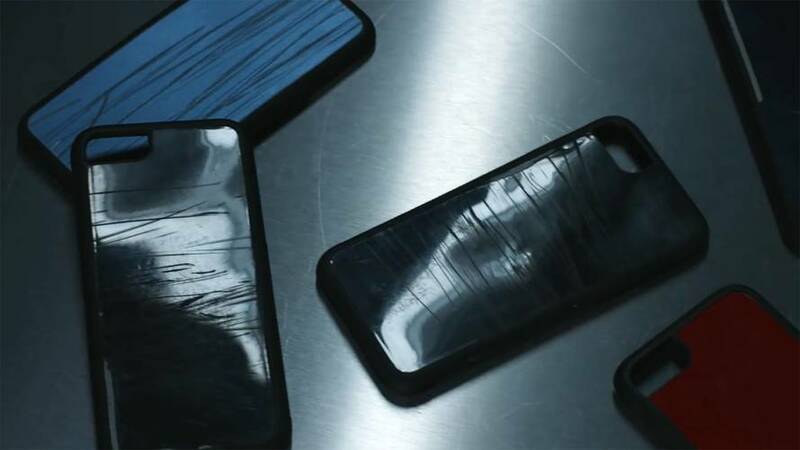 So, to drive home the dangers of distracted driving, Volkswagen Stockholm partnered with brand management company NordDDB to build Apple iPhone 8 cases from the sheet metal damaged in texting-and-driving accidents. Talk about a stark reminder when you’re behind the wheel. The cases, handmade with metal from the wrecked cars, are each, tragically, unique. Only 153 will be made, each one representing a serious accident that happened in Sweden during the first month the law was enforced. Proceeds from the cases will be donated to the Swedish organization Trafikskadefonden to help people that have been in traffic accidents. The cases cost 599 Swedish crowns (about $69 U.S. at current exchange rates) and can be purchased at crashedcases.com, or, if you happen to be in Sweden, at Volkswagen Stockholm in Hammarby Sjöstad.